ABC7 and our parent company Disney donated $15,000 to the Alameda County Community Food Bank. OAKLAND, Calif. (KGO) -- Our annual ABC7 News Thanksgiving food drive is underway. Our partnership with Bay Area food banks has helped feed local communities for the past 23-years. 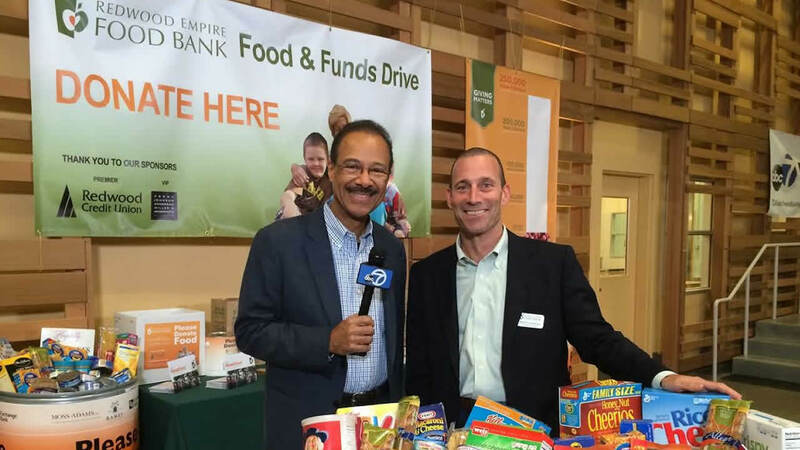 On Tuesday, ABC7 weather forecaster Spencer Christian was at the Alameda County Community Food Bank in Oakland. He spoke with executive director Suzan Bateson. Spencer: "Once again, we do this every year, right?" Suzan: "It's a great, great way to start out the season." Spencer: "The need is so staggering, though. 780,000 people in the Bay Area go hungry each month. That translates into 1 in 6 people. And it's an even greater figure here in Alameda County, right?" Suzan: "Yes, we're serving 1 in 5 in Alameda County. It shouldn't happen in a country as rich as America." This month ABC7 News is highlighting how Bay Area food banks are helping communities in need. You can give where you live with this year's ABC7 Thanksgiving food drive! Spencer presented Suzan and the food bank a check for $15,000 on behalf of ABC7 and our parent company Disney. "This will provide 34,000 meals, Spencer," Suzan exclaimed. "It's going to really start things out well!" This month, ABC7 and our parent company Disney are giving $75,000 to local Feeding America food banks. But they still need more help! Research shows 1 in 6 people in the Bay Area go hungry every month. You can help by making a $10 donation, just by texting the word FEED to 80077.